Can you dodge the volcano? navigate around the waterfall? 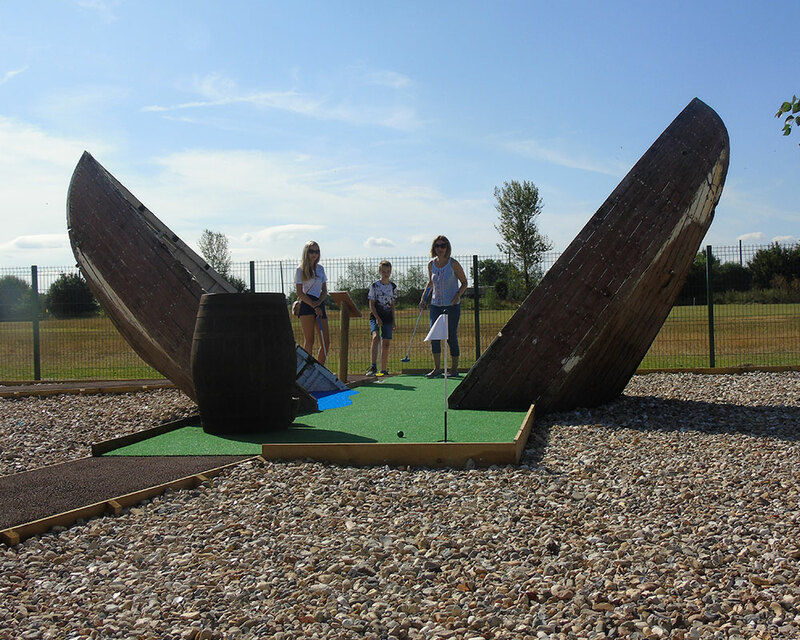 emerge safely from the pirate’s cave and avoid the perils of the shipwreck? 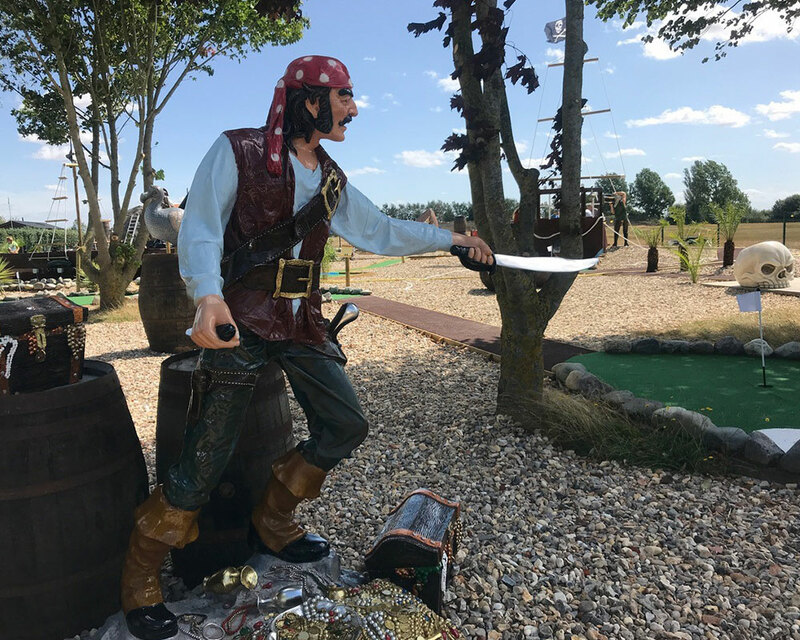 Smugglers Bay Adventure Golf is an 18-hole adventure golf course offering a unique experience with spectacular theming, sound effects, characters and lighting all combining to make the course a memorable and exciting day out for everyone in the family. 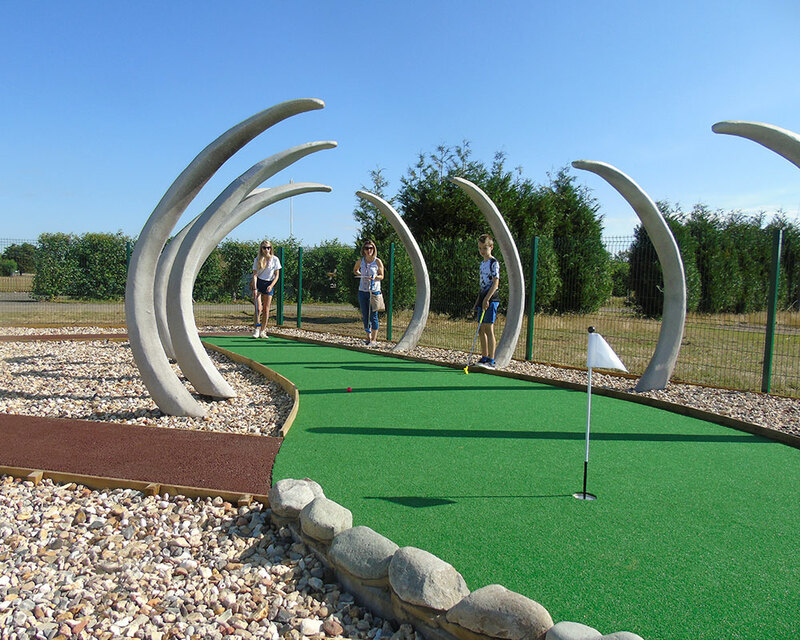 With several unique feature holes such as the vortex volcano, the wall of death, water hole, cascade, the boat wreck and the whale ribs, not to mention the graveyard, the course is at the very cutting edge of the latest adventure golf courses in the country. 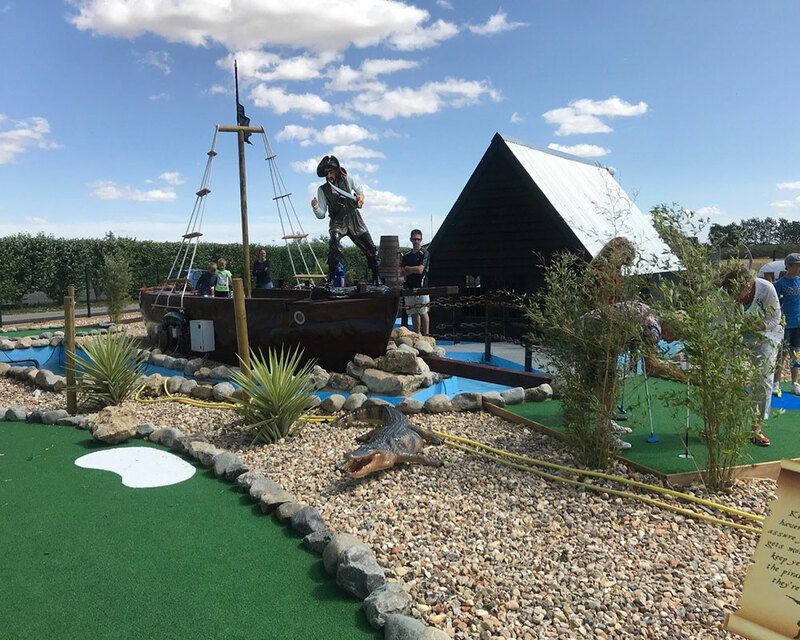 There is even a full-size palm tree to negotiate on the ninth hole! 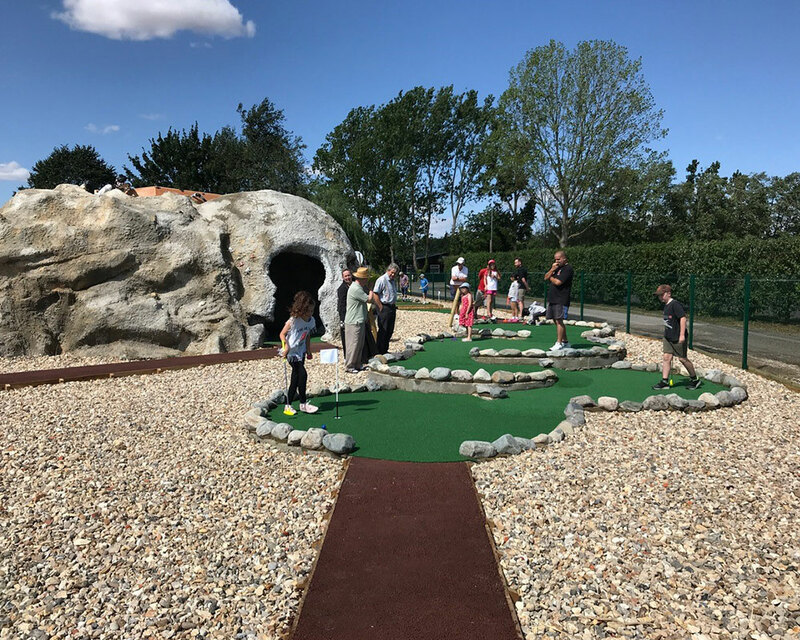 Open year round, the whole course is wheelchair and pushchair accessible. 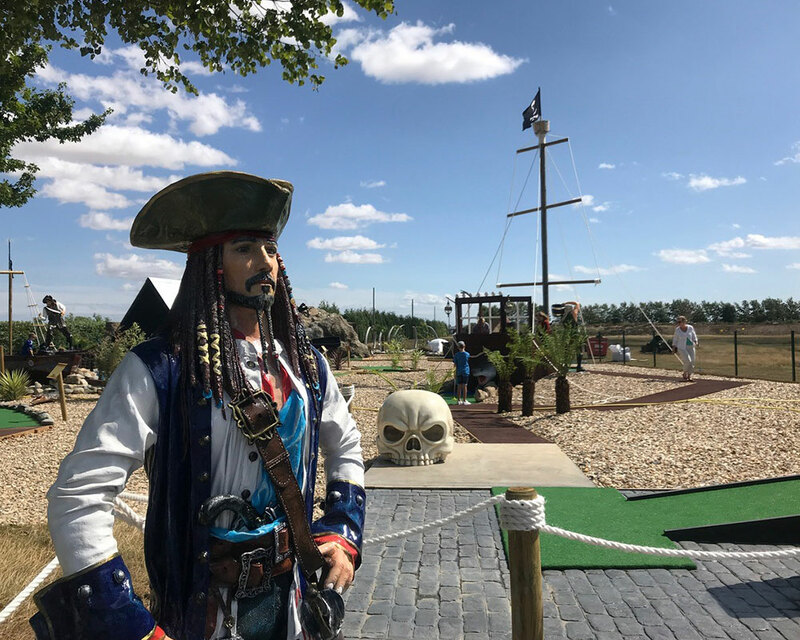 In what will be the UK first, Smugglers Bay Adventure Golf is just one of eight new golfing attractions at Stonham Barns this year. 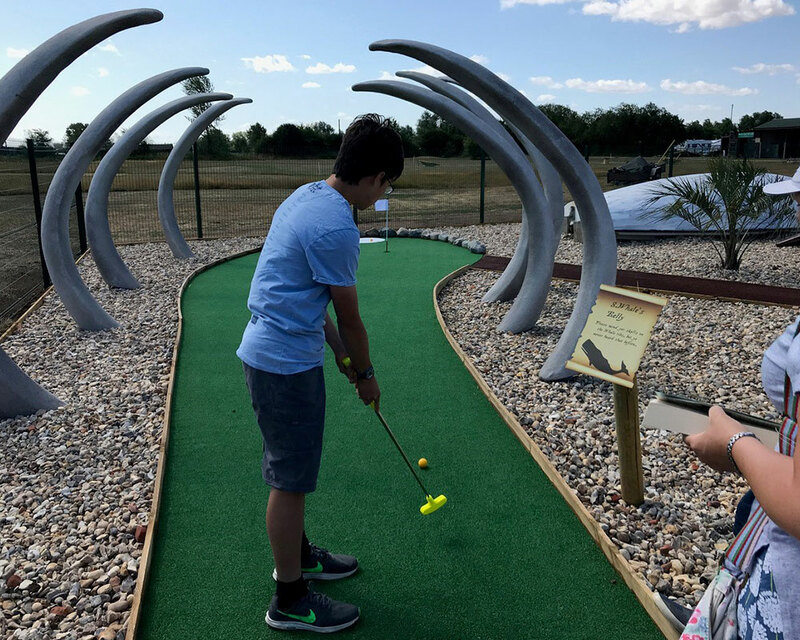 Visitors to Stonham Barns Golf Park will be able to test their skills on a range of different golf activities including a StreetGolf Driving Range, Golfzon Indoor Golf Simulators, a 9-hole Chip n and Putt course, a 9-hole Junior Footgolf course, Golf Darts as well as a main 9-hole Golf Course and 9-hole Footgolf course. 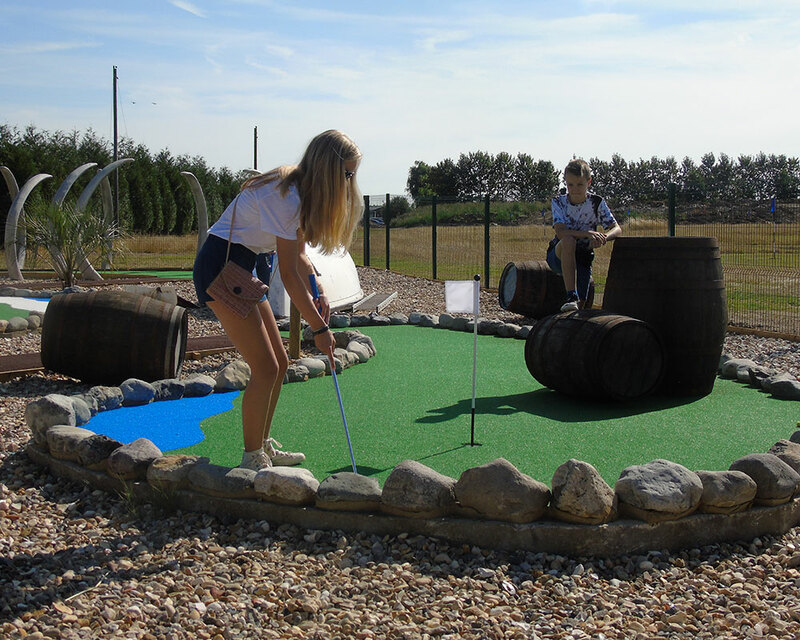 Nowhere else in the country can you enjoy all these golf-related attractions in one place! !